If you’re reading this, then you’ll likely know at least a little of this car already. 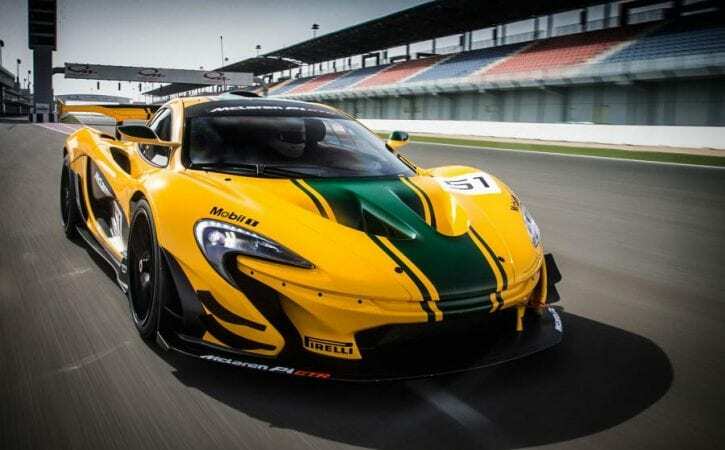 You’ll probably have clocked the McLaren P1 GTR’s £1.98 million price, done the maths and realised that’s fully £1.1 million more even than a P1. You’ll have seen that 1000PS power figure, although you’ll probably not have lamented, like me, that McLaren couldn’t have made it 1014PS. That would have enabled me to call it a genuine 1000bhp car, which, thanks to the always conservative way in which these figures are calculated, it undoubtedly is. But the calculator offers a rather less catchy 986bhp, and there it must stay. Quite a lot, isn’t it? Of course, it’s no more than a Bugatti Veyron offered 10 years ago, but the difference is that whereas the Veyron weighed at least two tonnes, the P1 GTR has a dry weight of below 1400kg, despite its battery pack and hybrid powertrain. Even taking a kerb weight of 1440kg, that’s 685bhp per tonne. You can see how easy it is to obsess over the bald numbers of such a car, and now that I’ve driven it as fast as I can make it go and until the only yelping was from the searing pain shooting through my neck muscles, I find that amusing. The performance is interesting – very interesting, in fact. But it’s far less interesting than some of the other things that this car can do. As you will know, the P1 GTR is a car conceived to do much the same job as the Ferrari FXX and its descendants, and doubtless somewhere deep in the Woking lair, there are those who are grudgingly grateful to Maranello for proving the concept of the million-pound motor car that can neither race nor be used on the road. As business plans go, it must have seemed unlikely, but Ferrari went for it anyway. As has McLaren. It offered P1 GTRs to existing P1 owners only and snapped shut the order book when an expected sales figure of a little over 30 units breached 40 cars. Like Ferrari, it will lay on events at key tracks all over the world, train its drivers in fitness and nutrition and provide one-to-one trackside tuition for those who want it. But owners will also be able to take their cars home and do with them as they will. I don’t imagine too many will be turning up at a ‘run what you brung’ day at Mallory Park, but if they wanted to, they could. You could take it to the Nürburgring, too. Given that McLaren chief test driver Chris Goodwin reckons the GTR is between five and 10 seconds a lap swifter than a P1 around Losail, that the Nordschleife lap is four times the length of Losail and that the P1 has already gone under seven minutes there, you don’t need a calculator to realise the genuinely terrifying potential within those pumped-up, drawn-down lines. But the truth is that but a small fraction of that additional raw speed comes from the extra power and 50kg weight loss. The increase in downforce is a significant help, but the night-and-day difference is the tyres. However good a job Pirelli did – and by all accounts it was superb – it still had to provide a tyre good enough to work in all weather conditions, for some thousands of miles over a lifespan certainly measurable in months and years. Imagine, then, a tyre freed from such constraints with a need to last mere minutes at maximum attack. Imagine a stripped-out, powered-up, downforce-optimised P1 on slicks, because in the simplest terms, that is what the GTR is. The GTR’s cabin is at least familiar. Chief engineer Dan Parry-Williams says that for all the car’s science fiction performance, he wanted people still to be able to relate the GTR to their P1 road cars and be reassured by that. That said, the steering wheel breaks McLaren road car rule number one and comes slathered in buttons, not just to control the extant ‘push to pass’ and DRS systems carried over from the road car, but also the radio, flasher, pit lane speed limiter and engine starter button. I stab it with my thumb and a small bomb goes off behind my right ear as the twin-turbocharged 3.8-litre motor spits flame through its new and unsilenced titanium and Inconel exhausts. The door folds down and I am alone in a carbonfibre cocoon, hoping that shaking sensation is the car and not me.